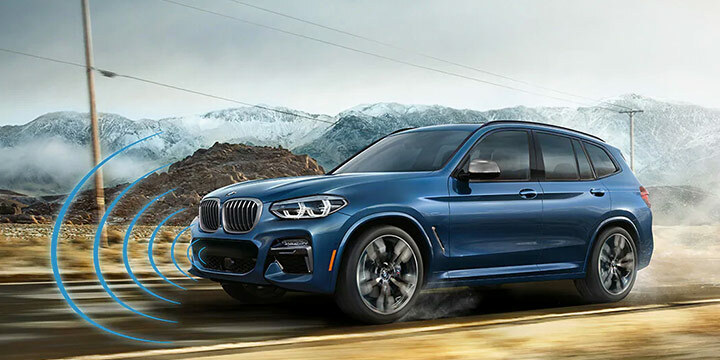 For those who think life is made for adventure, for those who accept no compromises, there's the new 2019 BMW X3 Sport Activity Vehicle® from Zeigler BMW of Orland Park. From its robust, refined exterior to its advanced entertainment and safety features, the X3 easily tops the 2019 Lexus NX, the 2019 Acura RDX and the 2019 Lincoln MKC in all the ways that should be important to you. Read on, then visit Zeigler BMW of Orland Park today and experience the BMW X3 for yourself. The 2019 BMW X3 comes with BMW's 4-cylinder TwinTurbo engine that produces a brawny 248-horsepower - more than the Lincoln MKC and Lexus NX's standard engines. If you want even more power, there's an available 6-cylinder engine that boasts a very muscular 355-horsepower with 369 lb.-ft. of torque. Yet, with great power comes great efficiency. The X3's EPA-estimated 28 MPG on the highways of Illinois, outperforms the 2019 Acura RDX, Lexus NX and Lincoln MKC. And when you want to haul your toys for a weekend getaway, the 2019 BMW X3 has an available trailer hitch receiver that the Lincoln MKC only offers as an option on its higher trim levels and the Lexus NX doesn't offer at all. Inside, the 2019 BMW X3 is pure BMW comfort and convenience. 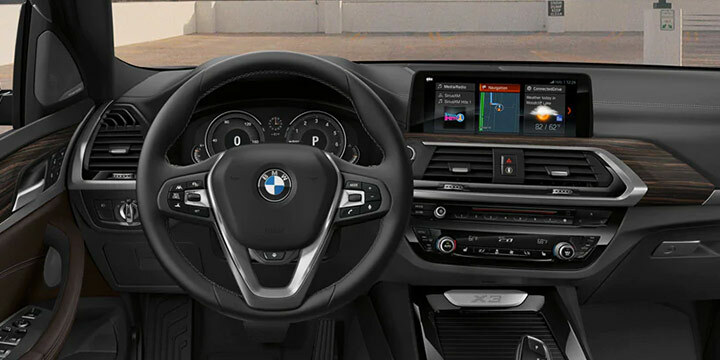 Available features include ambient lighting, leather seats, panorama sliding glass roof, gesture control for certain infotainment features like call receiving and BMW's "Share My Ride in Real Time" feature that allows you to safely share your arrival time and location with friends, family and colleagues. Rain-sensing wipers are standard in the X3, an optional upgrade in the Lexus NX and Lincoln MKC and simply not available in the Acura RDX. Finally, only the X3 offers rear AC - a feature you won't find in the Lincoln MKC, Lexus NX and Acura RDX. 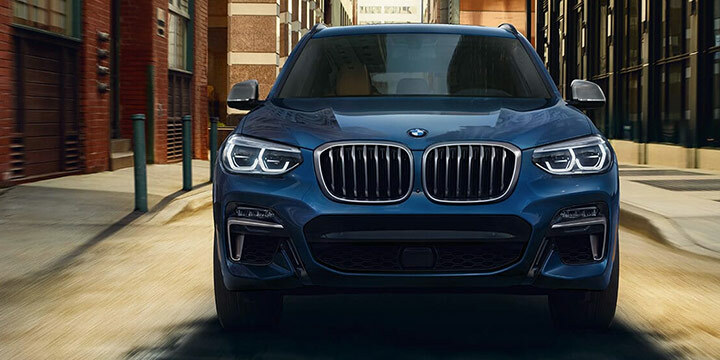 Drive your 2019 BMW X3 with complete piece of mind because it comes equipped with an impressive set of safety features that offer protection whether you're in heavy traffic around Orland Park or traveling off-road. The X3's standard Active Guard system includes Frontal Collision Warning that alerts you to potential accident risks while the standard Park Distance Control makes squeezing into those tight spaces a breeze. Other available safety features include brake assist and back-up camera. A rear parking aid is standard on all X3 models, while it remains an option on the Acura RDX and Lexus NX. It's also worth mentioning the 2019 BMW X3 comes with a 12-year limited warranty against corrosion. That's twice as long as you'll get with Acura, Lincoln or Lexus. Now that you've seen all the ways that the BMW X3 outshines the competition, all that remains is for you to get behind the wheel and experience the exhilaration and pure joy of driving it. Fill out the form to schedule your test drive now. Then hurry to Zeigler BMW of Orland Park - proudly serving drivers in Naperville, Bolingbrook, Wheaton, Orland Park and the greater Chicagoland area.